I’m not given to quoting overwrought (if Oscar-nominated) ecclesiastical dramas at the best of times, but let’s face it, this is not the best of times. There comes a time in every Oscar-watcher’s life when he has to accept the things he cannot change — or simply stop changing the many, many things he can — and commit to some bloody predictions already. I had planned to write a category-by-category breakdown of each category, as I usually do, but the hour for that level of detail has passed. In any case, I suspect we all share the same certainties and uncertainties (five of which, in particular, I discussed on Friday) in this odd, momentum-swinging year, so there seems little point in rehashing what we’re all thinking anyway. So allow me to get away merely with selecting a few of the most salient points from this year’s guessing game. And a guessing game it most emphatically is: for a year in which almost all industry signs have pointed to one film, I’m amazed how fluid vast sections of the race still feel. I feel 100% certain about only a third of the 24 categories up for grabs: perhaps the lowest number I can remember in 20 years of Oscar-watching. Strangely, the number of blind spots isn’t due to the lack of a frontrunner — we clearly do, though I maintain that “The King’s Speech” doesn’t have the Best Picture prize wholly in the bag. Rather, it’s because we have little way of knowing just how strong said frontrunner’s hold over the Academy is; it’s rare to have a nomination juggernaut like Tom Hooper’s film that could feasibly win as few as three Oscars, or as many as ten. In anticipating four statuettes for the rah-rah royal biopic, I’ve wound up on the low end of the “Speech” sweep equation — probably too low, I suspect. Indeed, I was surprised to tally up my predictions to find a three-way split of four awards each for “The King’s Speech,” “The Social Network” and “Inception”: the Academy is rarely that democratic, but in a year like this, I feel more comfortable hedging my bets. The categories that worry/intrigue me most continue to be the five I mentioned on Friday. I’m sticking with my initial instincts on all of them, having jumped off the “Waste Land” boat I briefly boarded in Best Documentary Feature and returned to the warm embrace of “Exit Through the Gift Shop” — if I’m going to be wrong, I want to go down representing for the best film of the lot, damn it. And part of me wonders if getting the nomination was the bigger hurdle for this most unorthodox of contenders. You won’t find too many out-there calls on my final predictions page — perhaps my most against-the-grain move comes in Best Original Score, where I’m counting on the Academy voters’ occasional hip streak to come through with a win for the most talked-about of the nominees, though I fully admit there’s a healthy dose of heart in that particular prediction. The short categories, as always, are something of a crapshoot, though there’s a rationale behind my guess in each case: “God of Love” is the most polished of the live-action nominees (though voters may find others more endearing), “The Lost Thing” is the most emotive of the weak-sauce animated shorts (and Pixar has never won both the short and feature awards in the same year) and “Strangers No More” is the uplifting of the short documentaries (though honestly, throw a dart at the board here). And there ends the thinking part of my Oscar day. The rest of my evening will be given over to party preparations, drinking, friends, drinking, dinner and a little more drinking — before a bunch of us settle in for the big show. I’ll be offering up the occasional inebriated observation on Twitter if I feel so inclined, but after six months of puzzling this night out, my goal is for it to feel as little like work as possible. That just leaves me one thing to do, and that’s share my own dream outcome for tonight’s awards. My predictions can be found here, but below is what my ballot would look like (complete with preferential Best Picture ranking) if I were an Academy voter. Fat chance, on both counts. Happy Oscar Day, everybody. Solid guesses, Guy. For sure. I’m just flailing on the short categories. I still am feeling HBC or Leo, going HBC. My dream oscar outcome also involves Nicole Kidman and Jesse Eisenberg winning too, Guy ! Cheers! Ugh….Nicole Kidman was good but I absolutely loathed her character. 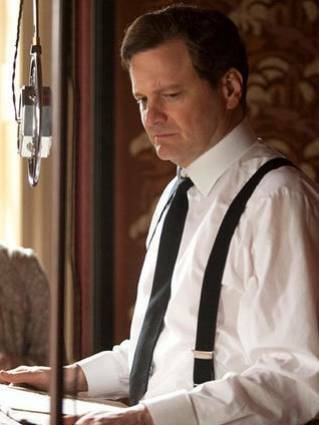 I am also predicting The King’s Speech for Best Picture and David Fincher for best directing. I know Hooper won the DGA, but the fact that Fincher beat Hooper at the BAFTAS speaks pretty loudly to me. I’m also going to say True Grit takes sound mixing. I have no clue as to who will win Best Supporting Actress. I really doubt that Melissa Leo will win without a BAFTA nomination but I am blocked between Helena Bonham Carter and Hailee Steinfeld. I also don’t know who to predict for Art Direction, Makeup and Live Action Short Film. The Lost Thing was the most emotive? I thought it was the most dull, still it was better than Let’s Pollute. Gruffalo had pacing problems, but much more charm and rhythm than Lost Thing. Madagascar was just brilliantly, ingeniously animated and Day & Night is absolutely perfect until they go for the stupid sledgehammer to the head lecture at the end. Overall, it’s the weakest slate of animated contenders I can remember in the years since I’ve watched all the shorts. And it’s the first year when the Live Action slate is overall better than the animated. Live action wise, Na Wewe and Wish 143 were spectacular. I sort of feel that Wish 143 told a more complete story while Na Wewe felt like it could be part of a longer work. However there is no denying the absolute sense of euphoria you get when you realize what happens with the headphones at the end of Na Wewe. :) God of Love was quirky in a Pushing Daisies sort of way, but the acting was not as strong as in the other shorts, and it was black and white for no other reason than to make it look artier. Unfortunately, The Confession went the same direction with Color, choosing to dunk the entire film in the Cyan-for-SAD-SO-SAD tank of dye that just left it looking repulsively digital and dramatically over-graded. Still, it also told a complete story, and had a terrific ending. I don’t think they needed to go the extra mile with what happened to the friend though. That shifted the story in an irritating way beyond tragic accident into manipulate-the-audience-in-an-annoying-manner and sort of caused the film to go off the rails, imo, in the final five minutes. The Crush was charming, funny, but badly handled regarding the surprise reveal at the end of the film. I sort of felt it was completely botched explaining what didn’t happen. And escalating the boy’s actions up to that level just feels irksome. Still, I’d say all the Live Action films are at least an 8, which was a delight. Thanks for sharing your dreams Guy….they remain exactly that dreams mate! I’m amused at how you and Kris don’t have any film in common for your Animated Short winner and alternate, and how Kris doesn’t have Inception for the winner or alternate for Art Direction.